A couple from Burton Latimer have of their battle for a child of their own. Laura and Andy Garthwaite went through three unsuccessful rounds of IVF before they had baby Daisy on August 5 last year. The couple had almost given up hope and considered other options before their last available chance worked. Olympic diver Tom Daley and his ‘husband’ were adorned with sashes bearing the slogan ‘Daddy to be’ as they ‘celebrated the imminent arrival of their son with a baby shower’. Later Daley told the Andrew Marr Show: ‘The laws in the UK are different to the US. If a surrogate carries a baby, UK law recognises the surrogate and her partner as the parents.’ At present, the ‘commissioning couple’ has to apply for a parental order, but Daley was not asked how he would change the law. 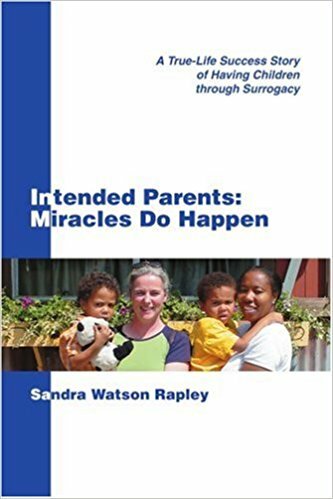 BBC Radio 5 Live also devoted a full hour to surrogacy without addressing the fact that these children are deprived of their biological mothers or fathers. Chelsea Wright’s journey to motherhood was met with major roadblocks along the way. After trying to conceive for about a year, Wright and her husband, Chris, decided to visit a fertility clinic. They were pleasantly surprised when a test result showed that Wright was actually pregnant. Unfortunately, she would go on to miscarry, and have two more back-to-back miscarriages. Bisexuals have a hard enough time as it is as their culture is commonly misunderstood in the mainstream, arguably more than gay or lesbian culture. There is a stereotypical image of bisexual people as ‘greedy’, wanting the best of both worlds – which is obviously unkind and untrue. Fortunately, bisexual people do have legal rights for protection. They can now marry whoever they want, of whichever gender in England, Scotland and Wales. The recently proposed Surrogacy (Regulation) Bill 2016 emphasizes on controlling exploitation of surrogate mother but lacks adequate maternal health safeguards for surrogate mother. Surrogate pregnancy like any other pregnancy not only carries the risk of maternal mortality but involves aggravated health risks including negative drug reaction or allergies, nausea and vomiting, stomach pains and swelling, shortness of breath, faintness, ovarian hyper stimulation Syndrome (OHSS) (hyper stimulation) which may be life-threatening following hormonal treatment, in vitro fertilization (IVF) technique for facilitating conception in surrogate mother. The UK may have been the birthplace of in vitro fertilisation (IVF), but cuts to NHS fertility services have led some people to consider travelling across the globe for fertility treatment. The National Institute for Health and Care Excellence recommends three cycles of IVF for those who are eligible, but whether you get anything approaching this depends entirely on where you live. A survey carried out by Fertility Network UK and Fertility Clinics Abroad found that patchy NHS provision and the high cost of private IVF were the main drivers for people travelling overseas. Spain, Greece, Cyprus and Eastern Europe are all popular, along with destinations further afield such as the Caribbean. Three gay couples in the northern city of Turin have been able to legally register their children to both parents, in a first for Italy. “Today an important page of history has been written,” said the mother of one of the children, Turin councillor Chiara Foglietta. Foglietta, who gave birth after undergoing artificial insemination in Denmark, said staff at the public records office had told her “no form exists” to recognize the child’s birth through the procedure, which is subject to strict rules in Italy. Instead, the staff reportedly told Foglietta she should declare that she had had the baby with a man. On Monday, the councillor said she “cried with joy” after signing the documents in which both she and her partner, Micaela Ghisleni, were recognized as parents of their son. “In 2015, the total fertility rate in the current 28-member bloc was 1.58 live births per woman. “The level is below a fertility rate of around 2.1 live births per woman, which is considered to be the average number required to keep the population size constant in the absence of migration,’’ Eurostat added. Gretchen Rossi, former cast member of the Real Housewives of Orange County, is opening up about her IVF story, the struggles of getting pregnant and more in a brand new interview. Minister Chris Fearne has stated that the proposed amendments to the existing law that regulates IVF and grants protection to embryos “address one of the most powerful forces in human nature – the will to procreate and have a family” (Times of Malta, April 4). It is quite sad and ironic then, that the proposed legislation turns human procrea­tion into a totally unnatural act. The Embryo Protection Act sought to regulate the use of technology wisely by restricting it to assisting infertile couples in a stable relationship. In doing so, it also protected the embryo’s dignity from the beginning of life and throughout their deve­lopment into childhood by making sure that they would be born and raised by their natural mother and father. Not so in this proposed Act. Unashamedly, the proposed Act goes down the rabbit hole where not only does the embryo cease to have the lifelong protection of growing into and being sustained by their natural mother and father but it effectively makes redundant those natural family bonds, replacing them by the cold hand of technological procedure, registers and an (unspecified) “protocol”. The world’s biggest sperm bank has warned the EU that access to donor sperm must be improved to reinvigorate childbirth rates amid the continent’s slump in population growth. Sperm banks across Europe have closed after the enforcement of new EU regulations on staffing levels, executives at the Danish firm Cryos International told European commission officials in a private meeting. Some member states’ insistence on making the identity of donors traceable was cited as a further obstacle to access, released minutes reveal. The executives also raised the 2011 decision by the Danish courts to treat sperm as a “good” liable to VAT. Donor sperm is subject to as much as 25% VAT in some EU countries. Rachel Weisz and husband Daniel Craig have happily announced that they are “going to have a little human” together – and it’s bound to be a ridiculously gorgeous baby. The actress, 48, (who, along with Craig, has an older child from a previous relationship) is part of a growing number of celebrities who have carried children well into their 40s; Janet Jackson welcomed son Eissa at age 50, Geena Davis delivered twins Kian and Kaiis at 48, Kelly Preston had son Benjamin at 48 and Halle Berry gave birth to son Maceo at 47. While a healthy and hoped-for pregnancy is a joyous occasion at any age, it is especially in a woman’s late 40s; doctors refer to a woman over the age of 35 as of “advanced maternal age,” with the attendant risks and difficult odds that accompany that designation. Here’s everything you need to know about the likelihood of getting pregnant in your late 40s.